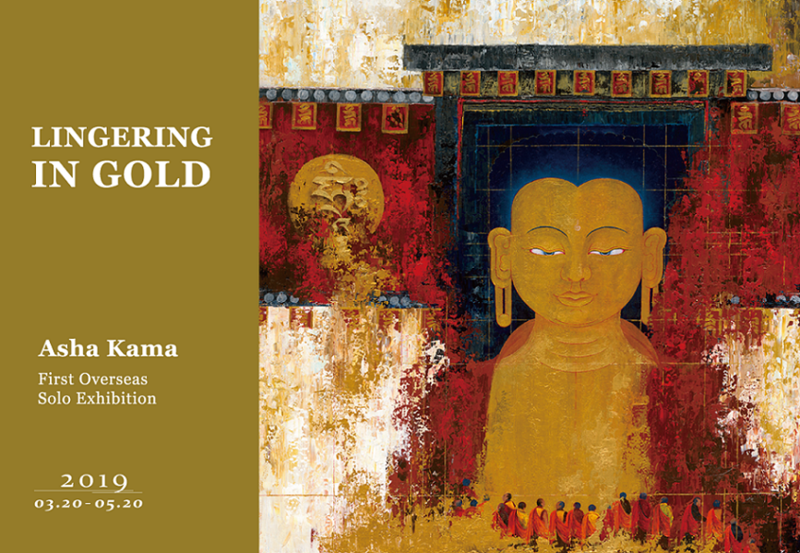 As the pioneer of Bhutan contemporary art, Asha Kama has merged Western modernism with traditional Thangka painting techniques, and infused his aesthetic innovation into Bhutan's art field, creating a new way of expressing Buddhist spirit on canvas. Buddha appears in most of Asha's works; the path-breaker of contemporary Buddhism art is determined to make a thousand paintings for Buddha to show his respect. Asha's new series of paintings is inspired by golden palettes, symbolizing eternity in Buddhism, and presents his interpretation of this fascinating in Buddhist world, as well as featuring Buddhism ritual dance, prayer wheels and mandalas. In recent years, Asha has been widely invited to India, Singapore, Korea and New York for exhibitions. His works are mainly collected by the Royal Family of Bhutan, enterprises, and international five-star luxury hotels etc.